At A & E Automotive, you are more than just a number. We go above and beyond to make sure you completely comfortable with all of the auto repair and maintenance services we provide. From our 2 year/24,000 mile warranty, to the candy and Wi-Fi Internet in our waiting area, to the free local shuttle service and free courtesy check we provide, we truly are here to serve you! We have two service bays equipped with above ground electronic lifts, which means we can accommodate any passenger vehicle, light-duty truck or trailer. We are a TechNet Service Center, and our ASE Certified Technicians utilize state-of-the-art technology and diagnostic equipment to properly diagnose and repair your vehicle, fast. We invite you to stop by our auto repair shop in Goleta, CA soon, and let the professional team at A & E Automotive provide you with fast and friendly auto repair services to keep your car running its best! 24-month/24,000-mile nationwide warranty up to a lifetime warranty. We understand and appreciate the value of your business. That’s why we have made it our mission to provide you with quality automotive services. Serving the area of Goleta, Ca for over 27 years. Our belief in the value of an honest, one-on-one relationship remains the same. We guarantee all of our work and know you’ll be happy with the outcome. Stop in or give us a call at 805-964-8276 to let us know how we can help you! Located at 300 B Pine Ave Goleta, CA 93117. Sanford & Dannon have owned A & E Automotive since 1997. As an ASE Certified Technician of many years in Electrical/Electronic Systems, and Engine Performance, Sanford has more than 39 Years of experience in the automotive service industry. Experienced in all aspects of automotive service and repair, Sanford also holds a certification as an Advanced Engine Performance Specialist (L1) and is our California Certified Smog Technician. Sanford and Dannon have both completed the training programs provided by Automotive Training Institute and Management Success. They are the Service Consultants for A & E Automotive, trained and certified by Automotive Training Institute and by Management Success, working one-on-one with their customers. They are always looking for ways to improve their customer service and their business. 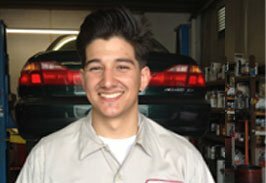 Edgar has been with A & E Automotive since October 2005, a graduate of the SBCC (Santa Barbara City College) School of Automotive Service & Technology. Recently married, he rides motorcycles at the track, and is 100% Spanish/English Bilingual. 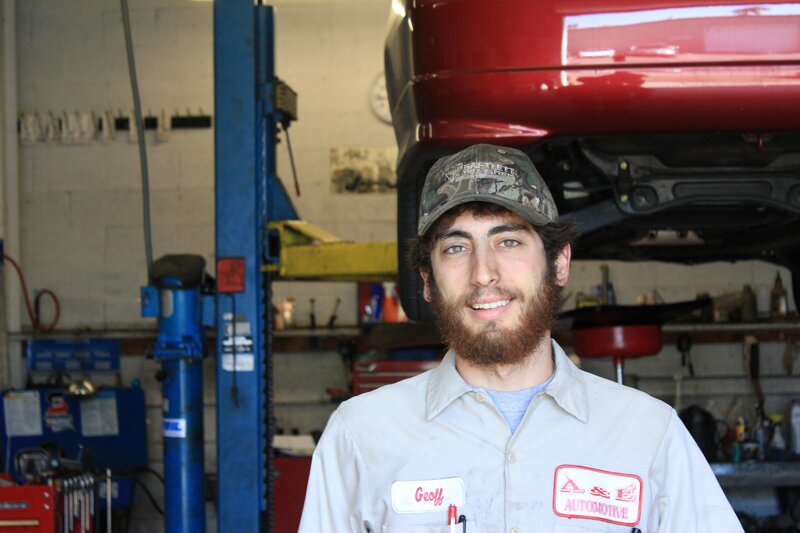 Michael started with A & E Automotive in October 2009. He is also a graduate of the SBCC School of Automotive Service & Technology. He also rides motorcycles, and is attending Cal State Channel Islands to complete his Bachelors degree. Geoff started with A & E Automotive in October 2013. He is currently attending the SBCC School of Automotive Service & Technology. Musically talented, he plays Bass in a local band. He loves working on Classic Cars. We’ve enjoyed years of growth and prosperity in a very tough and competitive industry. Some of our competitors think we’re just very lucky. The funny thing is the harder we work the luckier we get. The majority of our new clients are referred to us by friends, co-workers, family and our current clients. What’s the secret of our success? It’s really very simple. WE GENUINELY CARE ABOUT YOU!! You can expect to be treated with honesty, respect and kindness at all times. 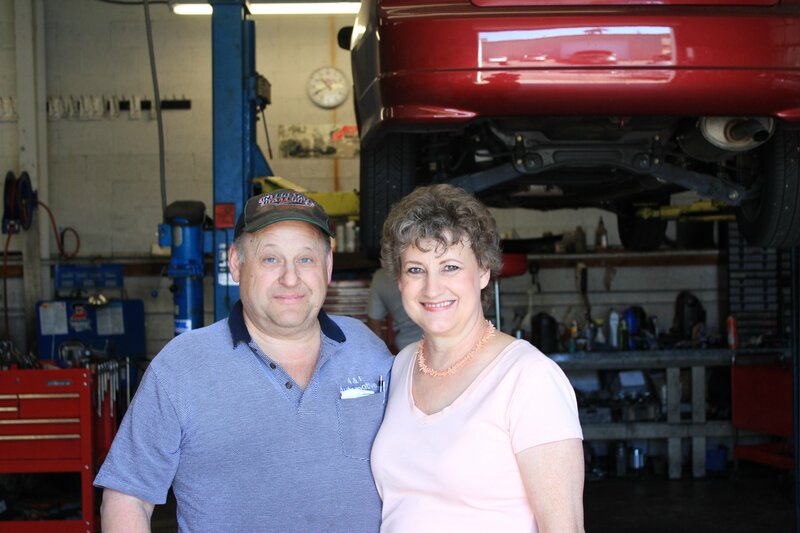 For the family at A & E Automotive, this isn’t just a job– it’s truly what we love to do.